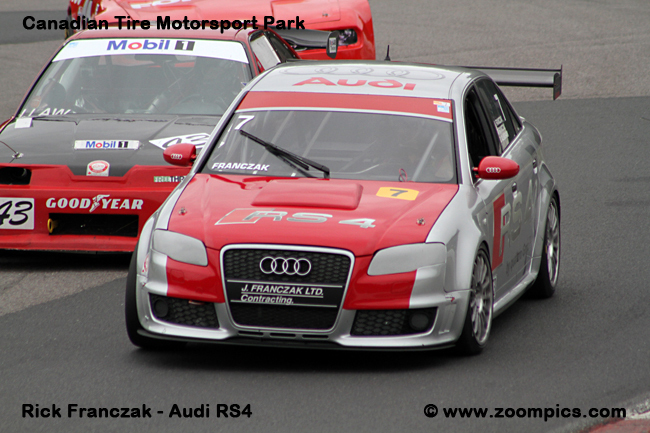 Below are images from British Columbia, Ontario and Quebec during the 2015 Canadian amateur sports car racing season. In Ontario, competitors raced at Canadian Tire Motorsport Park, Calabogie Motorsports Park and Shannonville Motorsport Park. There were a number of classes scoring points towards Ontario Regional Championships - Formula 1600, Formula 1200, Formula Libre, Formula Four, GT1, GT2, GT3, GT4, GT5 (Sprints & Challenge), Vintage, Classic and Radical. There were six race weekends at Mission Raceway Park organized by the British Columbia Sports Car Club (BCSCC). In addition to the BCSCC races, drivers in British Columbia also participated in events hosted by the International Conference of Sports Car Clubs (ICSCC). The ICSCC group held races at Portland International Raceway, Pacific Raceways, Oregon Raceway Park, Spokane County Raceway and The Ridge Motorsports Park. In Quebec, events were held at Circuit ICAR and Circuit Mont-Tremblant. The race groups in Quebec were - Coupe Nissan, Formula Tour 1600, Formula Libre, Vintage and the very popular Super Production Challenge.